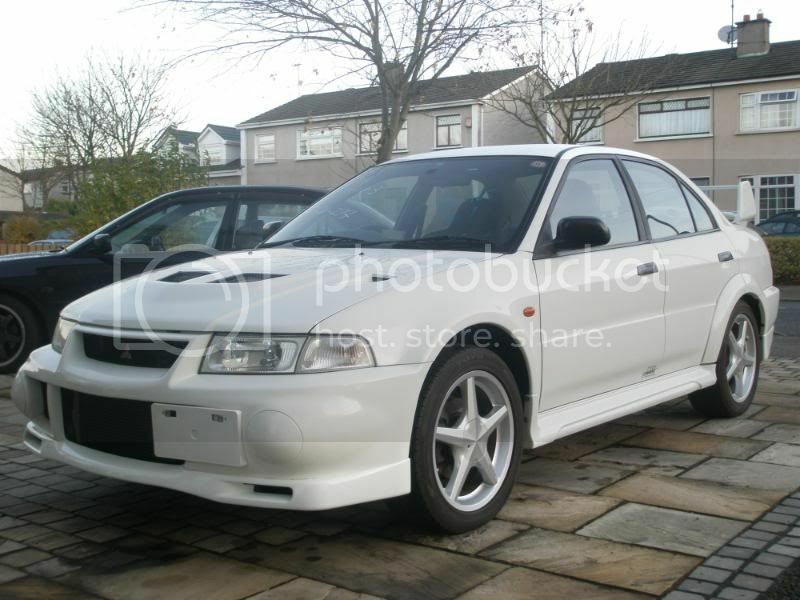 Anyone else feel Evo 5's and 6's look fresher with orange indicators up front? Or is it just me? It's almost like when the RS scene went back to orange, to me it looks much fresher and nicer than clear. Does anyone know the official info on when evos started getting clears as stock? I've seen a few 6's with them, my 6 has clears that I'd like to replace with a mint polished up set of orange ones. Something about clear that looks cheap to me. Strange when I used to want to go clear on my cars. Or am I getting old? "It's A Dog Eat Dog World.....So Kill Or Be Killed"
Car: Back on the road now, best get driving it! did you get your pension on monday!! dont think they ever came with clear, people who are young change them as one of the first things to do. 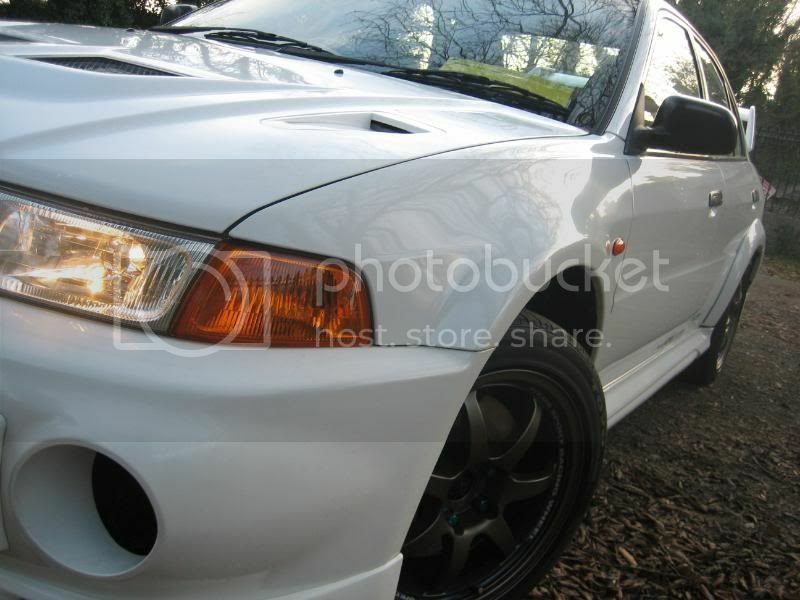 The Evo VI was the first Evo to come with clear lights as standard mate. Some have orange so I presume it was the late 98 early 99 models. Car: Evo V, Zafira GSI, Land Rover Series off roader and Range Rover classic. you can up that to 68 now minimum. Want 433 ATW on a 2 litre GT3076 CLICKY!!! and see how much better this looks AFTER he's fitted orange indicators..
Last edited by jameswrx; 07-10-2009 at 17:05.. Car: TME RS 471/400. Full on smack in the back fun!! I put my TME RS back to original orange and it looks far more striking!